Welcome to our freshly baked site! After months of hard work, we’re delighted to share our freshly baked website with you, our valued customers. There’s plenty of great info on here that will be regularly updated to keep you in the loop on all things Mrs Quick. So take a sec to check out our full product range, latest news and delicious recipe ideas. 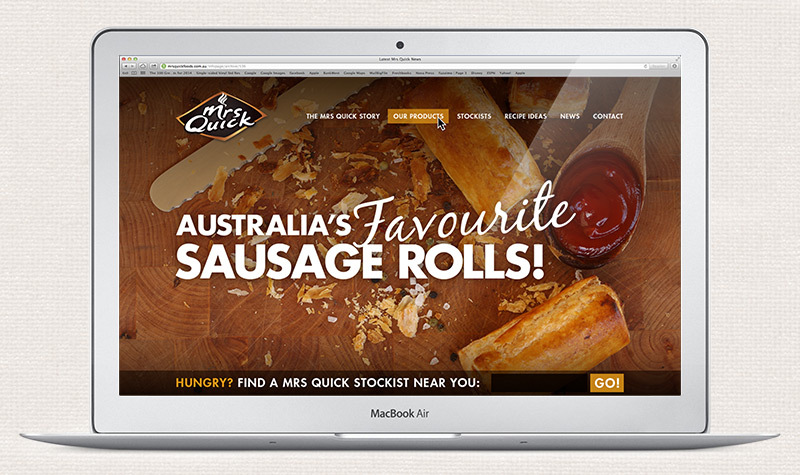 Most useful, however, is our comprehensive store finder, so no matter where you are in Australia, if you’ve got a hankering for Mrs Quick, you’ll know where to find us. We hope you’ll love our new site as much as we do. Got some feedback? Let us know here.